Stocks began the week by gaining almost 1% on Monday. 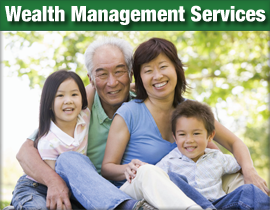 However the recent market correction of approximately 4% from their May 21st highs along with recent talk of the Federal Reserve tapering their easy monetary policies caused the stock market to give back Mondays gains. By the end of the day on Wednesday, the stock markets were at a loss for the week. However on Thursday & Friday a series of economic reports were issued that showed that recent economic growth was “Neither too hot nor too cold” (Hence the Goldilocks reference). Investors welcomed the economic reports showing mild growth because they allayed recent fears that the Federal Reserve would start to end their easy monetary policies that have done among other things sent interest rates to their all time lows. The S&P 500 finished the week at 1,643 – a net gain of almost 1% for the week. The S&P 500 is now just 26 points away from its all time high reached on May 21st. Below is a one year chart of the S&P 500. 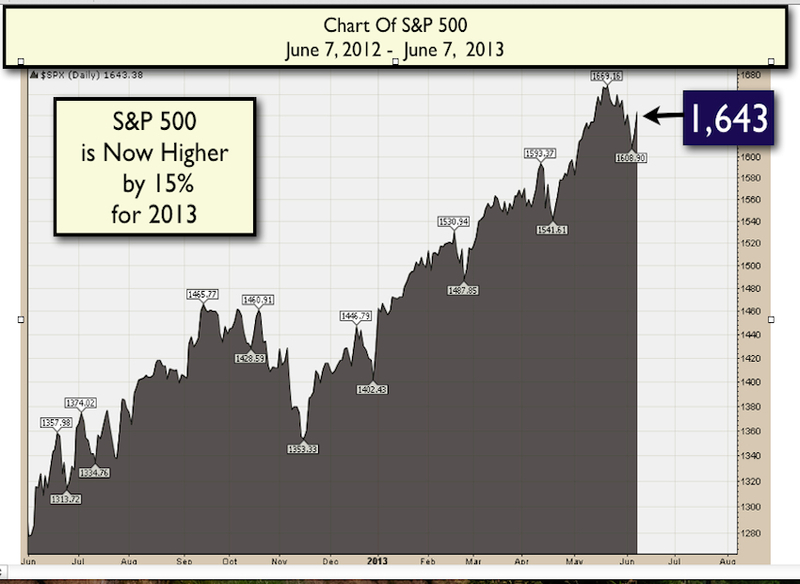 The S&P 500 has returned a remarkable 15% to investors so far in 2013. The stock markets are currently in between earning seasons so during these times it is the economic reports that tend to have the most impact on the market direction short term. Most of the economic reports that were released this week showed that recent economic growth was slowing. Ironically to most people, this news was received very positively by market participants. With the recent improvement in the housing markets and with the stock markets at all time highs, there had been talk of the Federal Reserve ending their monetary policies that are a major contributing factors to the Stock Market 150% gains since 2009. Therefore, an economy that grows at a mild rate is almost nirvana for the investment community. It allows companies to increase their sales and earnings along with keeping the easy monetary policies in place from the Federal Reserve. However, the drawback to this mild economic growth is that the economy does not create the number of new jobs necessary to reduce the unemployment (and under-employment) rates down to the levels where they were when the USA entered the recession in 2008 – at least anytime soon. The most important economic story over the past two weeks is the dramatic increase in 30 year mortgage rates. Backtracking for a moment to March 1, 2013, I published an article advising readers to get your record low interest rates before they are gone. 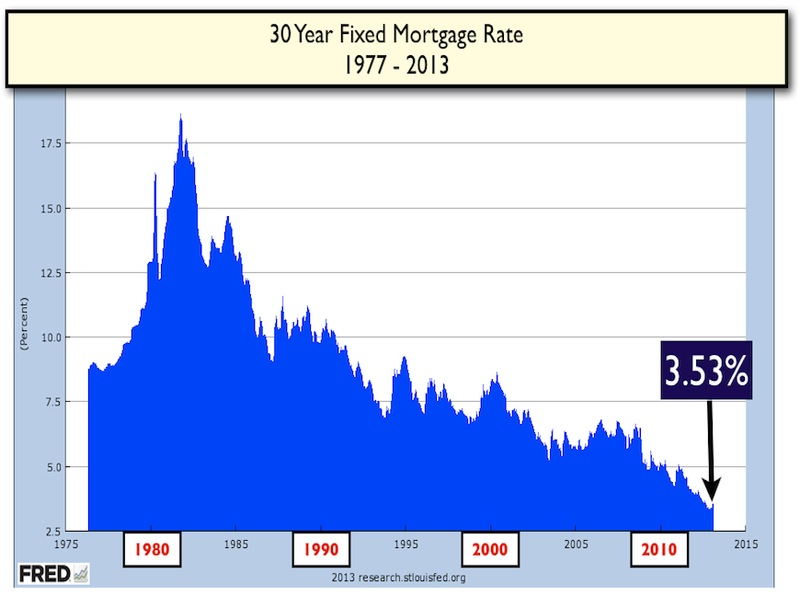 I presented the following chart of Mortgage Interest Rates for the past 35 years. And offered the following Commentary on March 1, 2013. Today the rate for a 30 year mortgage is at 3.53%. As the chart illustrates, today’s low rate is unique. 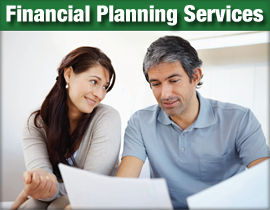 The interest rates over the past 40 years have been as high as 17% and have generally ranged between 6% – 8%. Looking at the chart you should reach an inevitable conclusion – and that conclusion is that in the future the interest rates on home mortgages have only one direction – higher. At some point in the future with an improving economy, an improving job market and an improving financial condition of banks, either market forces or the Federal Reserve will create actions that will send interest rates much higher. 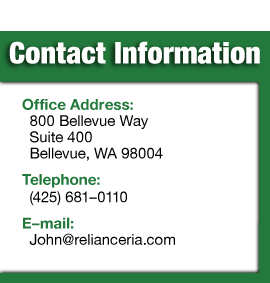 Purchase or lease of a new automobile. While no one can know when for sure – after years of interest rates going lower – it is likely that interests rates could begin rising higher in as soon as 4 – 12 months from now. Over the past two weeks, mortgage interest rates have rocketed higher. The cause of this increase has been an improving economy and an improving housing market. Prices for homes in many communities are increasing at the fastest rate in over 6 years. This has led to fixed income investors to fear that the era of record low interest rates would be coming to an end soon as the Federal Reserve would start to withdrawal it’s quantitative easing programs that have created these record l;ow interest rates. The 30 year mortgage interest rates went from 3.41% to 3.91% in a matter of days. 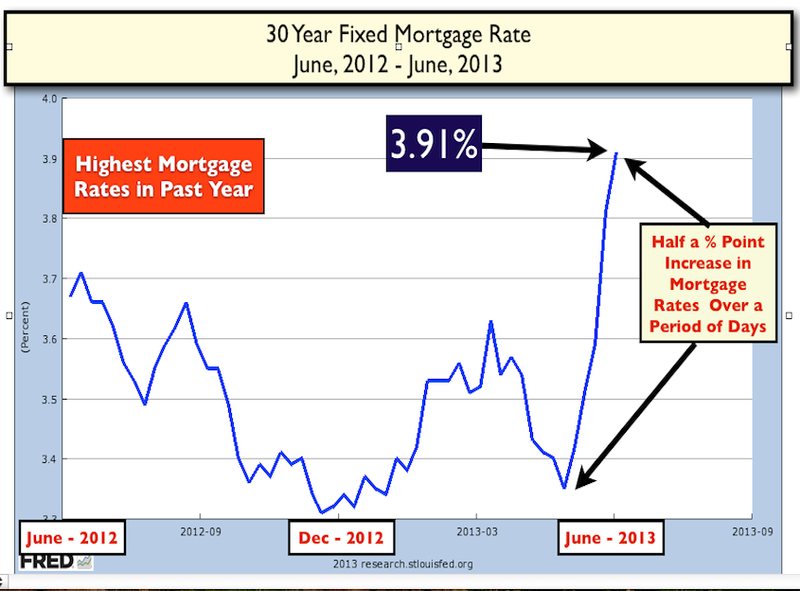 With this recent increase, 30 year mortgage rates are now at their highest levels in over a year. I would expect that the 30 year rates will come back down some over the next couple of weeks. I again urge readers for whom it makes sense for their financial condition and situation to lock in these all time low rates while they are here. 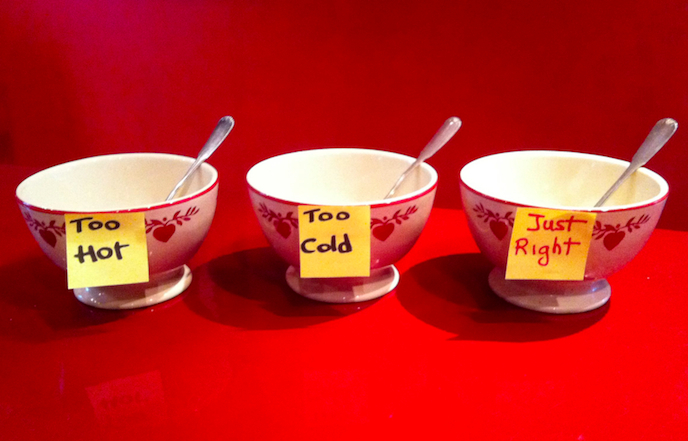 A “Goldilocks” economy that is neither too hot nor too cold. A general disbelief that the move higher in stocks can continue (the classic Wall of Worry) as measured by Investor optimism and pessimism surveys. An accommodating Federal Reserve who are intent on keeping interest rates low while continuing to purchase USA Mortgage and Governmental Debt in the Billions of dollars every month. A USA economy that is currently outperforming most of the other regions (Europe, South America, Middle East and Asia).